I'm totally thrilled to introduce you to my newest sponsor! Kimberly from Poppy Seed Fabrics! You guys are just going to DIE when you see everything she's got in her shop! I couldn't help myself! I ordered her "custom fat quarter bundle" for myself. You get 10 fat quarters of your choice for only $20 bucks! Whoo hoo! When my package came, it was like Christmas morning. I was SO excited! I mean look at all this AWESOME fabric goodness! I knew exactly what I had in mind for my first project, so I got to work! It was originally this gold color. They have SO many of these gold plastic frames at my thrift store, in all different sizes... don't know who originally thought plastic, gold, and ugly cheap print insert would shape out to make a great piece of art... lol??? Anyway... I took my fat quarter, that I ordered from Kim, and laid my oval frame insert on the fabric and cut out a square... like so. Then I took the square, and ironed it nice and flat. Then I centered the oval, and made little marks around the edges, so I knew exactly where to lay the insert back down, once I lifted it up. I then took the insert outside and sprayed one whole side with spray adhesive, and laid it flat down on the fabric... smoothing it out, to make the fabric lay flat. Then I flipped it over, and used the same spray adhesive, around the edges, and wrapped the fabric. The end result looked like this! Next, I applied a black vinyl "S" to the fabric, that I had cut out. I've been wanting to change up our entryway table a bit, now that spring is over, so this cute oval frame was a great start! with a fun phrase, next to it, to welcome our visitors! I LOVE all the black and white, silver and grey with splashes of green and blue! It just makes me so happy! I also made this SO CUTE fat quarter, grey and white polka dot pillow with ruffle flowers! Here is a photo of how it turned out! alexander henry new willow wren or micheal miller owl or micheal miller tweet tweet !!! ohhh, I got so wrapped up in leaving a comment for the giveaway, I forgot to tell you I love the oval frame! I have two, and I've been wondering what to do with them. This gives me inspiration. ooh, i like the "grey" bundle. i was thinking of doing something like you did as a wedding gift for my coworker. i didn't know that vinyl would stick to fabric so easily. maybe i thought it had to be some sort of fabric friendly vinyl. looks great! i subsribe via reader. I loved pouring over her fabrics. So many great patterns. I'm loving so many of the polka dots ones. But I think I'd get the pattern for the ring stacker. With a baby on the way I'd love that sweet little toy! I just became a fan of kimberly's page!!! I would love to pick a bundle out like you did... I could make so many cute bags... pillows... and wall art with it! following Kimberly's blog.... Which is super cute! :) She is a sweetie! I love your projects you did with the awesome material, especially the pillow! If I win, I really want that turtle pin cushion, but didn't see it in her shop, so I would choose Alexander Henry 2D Zoo in Chocolate with Coords. Thanks for the great giveaway! I would have to get the turtle pin cushion pattern and some fabric. I love her shop! I'm her newest 'friend' on her blog! Thanks! I love your tutorial today. I really like all the polka dot fabric by Michael Miller. I would have to get the turtle pin cushion pattern. It's so cute! I love her shop! I became a follower of Kimberly's blog. I'm already a follower on her blog. I love her stuff! Give away blog posted, and the button is there and also in the "Blogs I Love" link at the top. I luurvv the Antler Damask in Celadon, or the Deer Valley FQ Bundle.. Thanks for another great giveaway.. I would use it to purchase 2 yards of Amy Butler fabric!!!! Oh I love this place! I am going to make it a favorite of Etsy too! I am a follower of Kimberly's Fabric blog. I would use it to purchase some Michael Miller Dino Dudes fabric!!! It would be really hard to choose but I would get a customized fat quarter which included Amy Butler Wall Flower in SKY or Micheal Miller DISCO DOT PINK. I heart the birds too! I would love to use it to buy a fabric bundle! There are so many to choose from...I think I'll go back there and do some more browsing! How are you supposed to choose it's all so cute! I think I would pick this though: Riley Blake, Summer song the entire Collection in Fat Quarters. She has fabulous stuff and it was hard to choose, but I would love to get the 3 yard bundle of brown and pink fabrics to use in my daughter's new room in our new house that we are closing on this Friday!!!! Got the button on my blog! I became a follower of Poppy Seed Fabrics! So much cute fabric. I was in heaven! My favorite was the Bloom and Grow bundle be Riley Blake. So cute! I am in LOVE with the Amy Butler Fresh Poppies in Fuschia...what a fun giveaway...SO many great fabrics to choose from! I am now the proud follower of Poppy Seed Fabrics!! I would get the "Amy Butler Fresh Poppies with Coords....bundle 1yd each, 4 total" to re-do my little girls room. She's now in a big girl bed and her room is now one big blank slate just waiting for some lovely Amy Butler fabric to brighten it up! SO I definately had to post the Poppy Seed Fabric Link to my facebook account!! Hope this helps her business! I LOVE your project..so copying you :) K, so I would pick pretty much ANY of the Amy Butler fabric!! right now i'm really into the NEW Micheal Miller EDGY VEGGIE bundle 2 yd total, I would probably go with that! but I love a lot of things in her store. I'd probably do a custom fat quarter bundle as well. That's a steal! Or maybe the elephant pincushion pattern. Or both. Probably both. I think I love the Joel Dewberry deer valley fat quarter bundle for starters. I became a follower of Kimberly's blog!! oh I love the alexander henry bird seed bundle. it would make great pillows in my den! Gorgeous! I love too many of them to pick! I absolutely LOVE what you did with the black and white polka dots & the frame. Adorble! I love the Little red Riding ribbon and the toadstool ribbon!!! ok i am a followeer now!!! & i forgot to tell you how much I love your frame idea...I always see those silly gold frames and never thought to do that!!! going to the thrift store NOW!!! I would totally get the AMY Butler FULL MOON polka dot in SLATE!!! super cute! Go me! I'm already a follower of her blog! Yay! I put the giveaway on my blog!! I love the wallflower with grey coordinates! I'm a follower of her blog now! I would use the winnings towards a Make my Own Bundle! I am also a follower of Kimberly's blog, so please put in another entry for me in your giveaway. Thanks very much. I would get the Michael Miller Hedge Hog Bundle... SO CUTE!! Whats not to love? But my favorites are Owl by myself or how about that Ultimate Amy Butler! Awesome patterns and material. I am totally going to purchase either the Giraffe Garden, 2d Zoo and teeny set or the Hedgehog meadow. Love them all! I follow her blog and your blog! Love the little wooden crate with you new creation. Way cute! I love the apples and pears fabric! I don't have any Japanese fabrics and would love to have some of the Echino line. I'm a follower of Kimberly's blog and have her Etsy shop "favorited". I would love to get the Dena Designs Leanika LOVEBIRDS IN IVORY fabric! I became a follower of Kimberly's fabric blog! I would totally get the bloom and grow or I would maybe do create my own but I would spend way too much time trying to decide which ones I want the most! LOVE all her fabrics! The Alexander Henry Starling in Pink is adorable! I'm already a follower of Poppy Seed Fabric's blog, I just love her fabric. I love the mushroom mania bundle, or any Amy Butler fabric. It would be my lucky day if I won this contest. I love Poppy Seed Fabrics! Amy Butler Wall Flower in SKY is just the best, but it's a tough choice. I'm a Poppy Seed Fabrics follower, and I follow you as well! I am certain that I would spend way more than the $15 if I were to win! I'd create a custom fat quarters bundle with some lovely oranges and browns...have plans for some new autumn pillows for our family room. Just discovered your blog, and it's fabulous! I look forward to following along! I like the Patty Young Floral and I also love the turtle pin cushion. I love the Amy Butler Martini in Gold. It would make a wonderful dress for my daughter. So eye catching. Love it! I am following her awesome blog! I can't wait to search more thru it. Thanks for showing it to us! How does a girl choose??? I would use the $15 towards the 3 designer bundle (Erin McMorris cute Wildwood collection, Alexander Henry adorable Starling, and Amy Butler Midwest Modern floating buds.) So excited for this one! your letter S is too freakin cute!!!! and , dang~it... i love your entry way! SOO cute fabric. I love the 2d Zoo one for my little man.adorable~! NEW FOLLOWER, I WANT TO WIN!!! 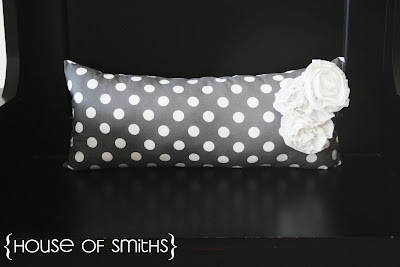 I FOLLOW POPPY SEED FABRICS BLOG!!! I am a follower of Poppy Seed! I WILL BUY A RILEY BLAKE, FAT BUNDLE I NNED SOME FABRIC FOR MY BOYS, LETERALLY, NEED. I would get the create your own fat quarter bundle and choose some Heather Bailey, Riley Blake and Amy Butler fabrics. I'm a follower of Kimberly's Fabric Blog. I would love to buy everything in this store! Everything! But if I had to pick just one thing, I'd do a custom fat quarter bundle with a little Michael Miller Groovy Guitar, and some Japanese Import thrown in. I am so seeing future projects in hedgehog meadow for the playroom! I also really like the gray and citron pack! You have already given me a couple of really good jumping off points for projects for use with that pack! I'm thinking about a landscape quilt using some photos I took on the road as a pattern. I would have to get a variety of greens for the hills and mountainsides. I am a super huge fan of circles/dots so would have to get some in every color! I LVOE the mad scientist fabric and the elephant ribbon. Wow I may have to spend the rest of the day in this shop! Thanks for introducing me to it and hopefully I win the $15 because that would be a nice way to start on my collection of fabrics that I now NEED from here! I am a follower of Kimerberly's fabric blog!! I'm one of Kimberly's followers so found you through her! Now I'm one of your followers too! Have had the Smoke Bundle on my wish list for awhile. Also love the Japanese prints! OOhh how I LOVE the fat quarter bundle of the love collection by Amy Butler! Every print is absolutely to die for...now my wheels are turning! I have my first niece on the way and I would love to throw together some adorable dabbles just for her! Yea! another amazing blog to offer inspiration along with amazing products! Thanks for the link and now I'm a follower of Kimberly's fabric blog! I would get the Valori Wells DEL HI the entire collection, CHARM PACK 35 total 5x5 Pre-cut squares . I just can't decide which one I'd choose but I love the NEW Laura Gunn POPPY DOGWOOD IN SPICE, or maybe something bright and fun like New Bauhaus berry with Coords.....1/2 yd each, 5 total. I'm in need of new fabric though and they are all so pretty! I'm a Hoouse of Smiths follower. I would choose the grey minki fabric if I won - I'd make a nice pillow for my bed with it. I love her fabric. I recently found Poppy Seed fabric through another giveaway she was having. I love the bloom grow collection. The fabric brand also make s paper for scrapbooking. I plan to make curtains then use the paper to decorate different items in my scrap room. I am a follower of yours and Poppy Seed. Thanks for the great giveaway! I think I'd have to go with the turquoise humming birds by Michael Miller. Love MM! what a yummy looking bundle, i would love to win. i follow you on blogger. I love Poppyseed! I have ordered from Kimberly before and she was great to work with! I follow her blog and I became a fan of yours just now! Some great ideas!!! I would get her newest selections of Echino Scooters, that is great fabric!!! I became a follower of Kimberly's blog! I would get the michael miller tiny zoo. I would love the 'wall flower with grey' coordinates-I love the grey and green combo. Your blog is adorable! Thanks for the inspiration and beautiful tutorials! I would get the pink Rainy days and Mondays set, Just LOVE that one!! I'm following her blog now too!! Ok, so I really want the Joel Dewberry DEER VALLEY collection bundle 6 YD total. I may need to get 2 or three. These fabrics would be perfect in my guest room! I just became a follower! Entry #2 woohoo! I'm a fabric addict so I could take anything of hers - - that Etsuko is different, so maybe it? It was so hard to pick I really like everything! But I love the Amy Butler Full moon dot FQ BUNDLE set! Oh, I love the Bauhaus berry with Coords fabric. Oh the possibilities! I think I might have to make my own FQ bundle with some of hte Alexander Henry fabrics. I lvoe what you did with your fabrics! Man I am having a hard time ~ I love so much... Maybe Pink and brown Designer fabrics, or the Amy Butler Poppies with cords, or maybe Dena designs Damask in pink... Too Hard! I am now following her blog!!! I would LOVE some of her Japanese fabric. The scooters are too cute! I'd get fabric. Love the riley bloom fabric! I am loving the Micheal Miller floral charm pattern. Its so cute!. Also love the bundles you can get AND (too much cute stuff!) love that Kyoko Sewing Pattern. Am now adding her to my etsy favs! Thanks! I am now a follower of her blog!! 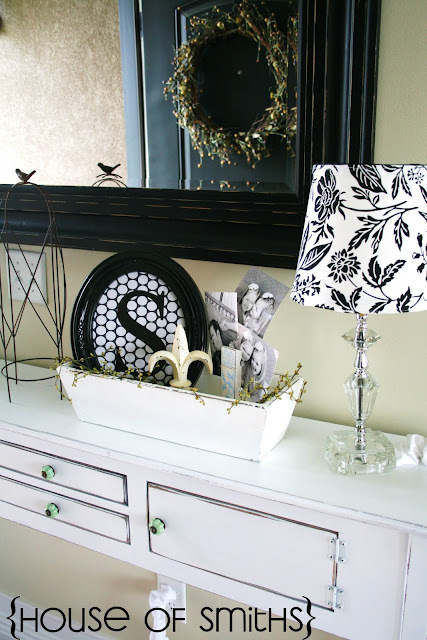 Love the tutorial you did with the fabric, frame and letter! So cute! I would create my own fat quarter bundle of colourful fabrics. CUTENESS! I have two frames I just painted black that look just like this. I needed to find something to put in them. Love this! SO FABULOUS! I love how your whole entry turned out. Makes me want to go out and find me a table. Have a happy day! Thanks for the idea!!! Awesome! I just linked here from CSI and have read one post and am hooked! Love, luv, L.O.V.E. what you create! you just got yourself a new follower. 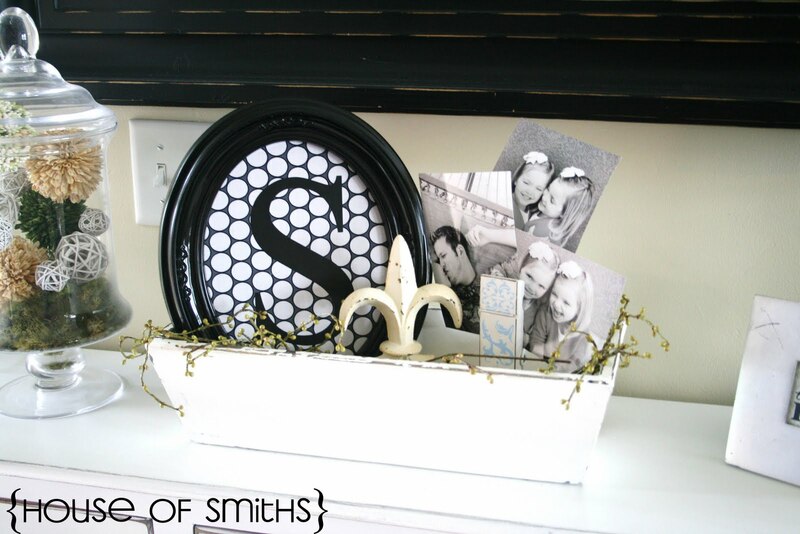 I love your smart ideas, I will use on or two, or even maybe 10 of your easy DIY's :)) I love it. A big hug all the way from norway.